She said she didn’t agree with that statement. She felt there was do or try. There was no do not. I said there was certainly a do not. What if you asked me to kill someone. I would opt for do not. She said well there certainly is a try. 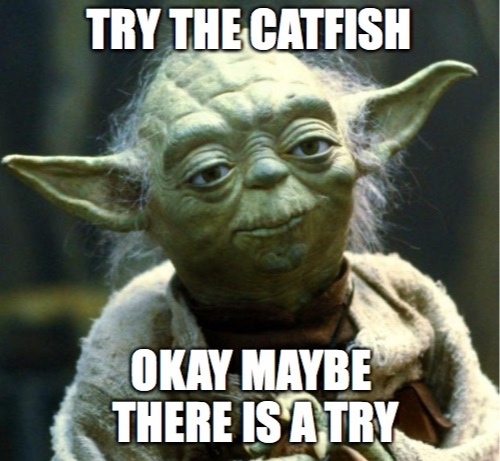 What if I asked you to try catfish and you never had catfish before. You should try it. She’s right. There’s a ton a benefit to trying. In the context of Yoda’s quote, he was really challenging Luke about his level of commitment. Are you in this or not? That quote gets taken out of context too often, and my daughter is right. There are many benefits to trying. Later that same night I was talking with my friend who signed up to run a 100k. The race is in 5 days, but he’s having knee issues. He’s not sure he’s going to run in the race. He’s going to travel to it and see how he feels. I tried to encouraged him by saying a DNF (did not finish) is better than a DNS (did not start). 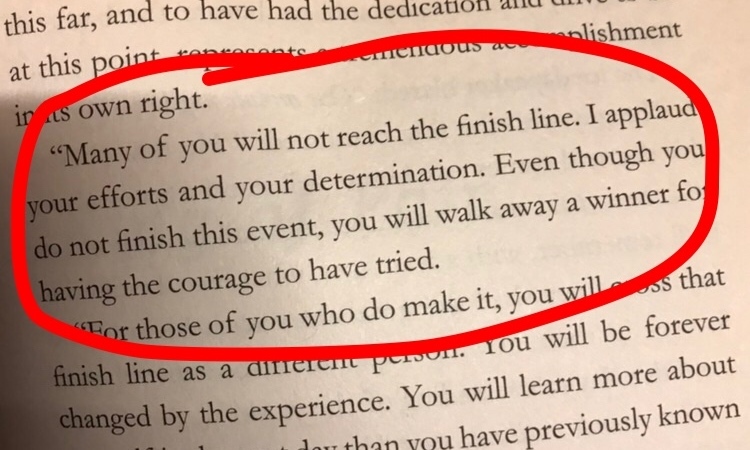 Many of you will not reach the finish line. I applaud your efforts and your determination. Even though you do not finish this event, you will walk away a winner for having the courage to have tried. 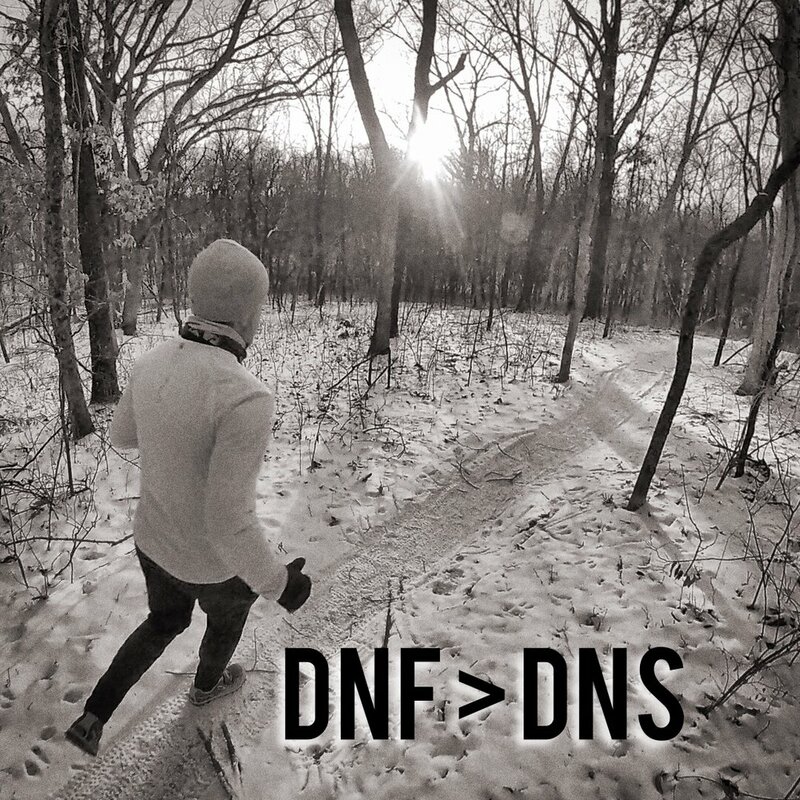 DNF > DNS. There is a try. Learn. Refine. Try again. Repeat as necessary. That process leads to doing.